Civa began operating back in 1971 as a small transportation company in northern Peru. It grew steadily over the following decades, and became the first Peruvian bus company to provide onboard services. Its fleet expanded, and today it has one of the most extensive domestic bus networks of all the Peruvian companies. The Excluciva brand was launched later by Civa, hence the similarity in names. But despite being part of the same company, Civa and Excluciva are very different beasts. As the name suggests, Excluciva is the more exclusive branch of Civa. Today, Excluciva is a worthy rival to other high-end bus companies in Peru like Cruz del Sur and Oltursa. But it’s important to remember that Excluciva and Civa are often a long way apart in terms of comfort and quality, so don’t confuse the two when you’re buying your tickets. Between them, Civa and Excluciva provide exceptional coverage throughout Peru, serving more than 60 destinations across the country. These include destinations all along the coast; popular destinations in the south like Cusco, Nazca and Arequipa; and cities in the northern interior like Chachapoyas and Tarapoto. Civa also has one international destination: the port city of Guayaquil in southern Ecuador. The Civa bus company offers three levels of service: Econociva, Superciva and Excluciva. For some reason the company decided to launch Excluciva almost as a separate brand, with its own website etc., but it’s basically just the premier class of Civa bus. Econociva is the cheapest option, with 140-degree reclining seats. The fleet of buses used for the Econociva service is decent, but some of the buses have seen better days. Unless you’re on a really tight budget, it’s always worth upgrading to Superciva or Excluciva, especially for long overnight journeys. Superciva buses have two floors, one with 140-degree reclining seats and another with 160-degree seats. The onboard service is far better than Econociva. Excluciva, meanwhile, is by far the best option. These modern buses have two floors, one with 160-degree seats and the other with fully reclining 180-degree bed seats. If you want a good night’s sleep, go with Excluciva. In general, Excluciva ranks up with the best bus companies in Peru, and it is a worthy alternative to companies like Cruz del Sur, Oltursa and Movil Tours. Are Civa and Excluciva safe? Civa has a good safety record in general. In the 2017 Accident Participation Index published by SUTRAN, Civa did not feature among the 50 Peruvian bus companies with the worst accident records that year. The buses used in all three Civa services are fitted with GPS tracking for greater security. All buses have velocity controls that limit the top speed to 90 kilometers per hour (56 mph). Due to the increased level of service on the Superciva and Excluciva buses, they are generally considered more secure than the Econociva buses, which tend to be older and have less security measures prior to and during the journey. Should you travel with Civa and Excluciva? The cheapest Civa buses are OK for short trips, but you should definitely consider upgrading to Superciva or ideally Excluciva for longer journeys. Some standard Civa buses are fairly uncomfortable and the level of service below normal standards. But with Excluciva you should have a smooth trip in comfortable seats, with good onboard service and high levels of security. If you’re on a tight budget, however, always check prices with rival companies like Oltursa, Tepsa and Movil tours first, as Excluciva buses are quite expensive. For example, Lima to Cusco with Oltursa (Bus Cama class) is S/ 145 or S/ 200 depending on the type of seat, compared to Excluciva’s S/ 200 and S/ 220 seats. 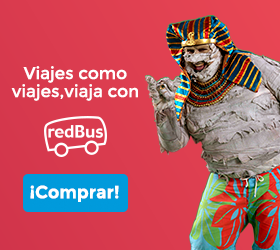 Tepsa and Movil Tours are also both cheaper than Excluciva.